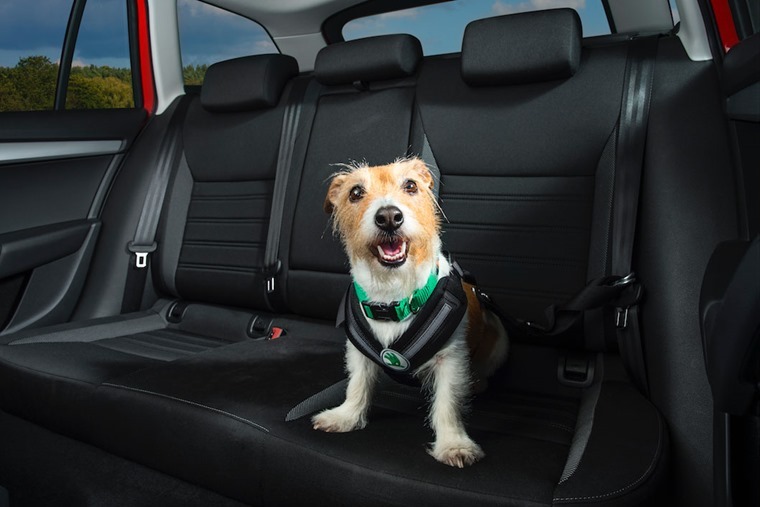 For dog lovers, choosing a car is not just a simple case of finding one with enough space for the kids – there’s also got to be room for your canine companion. If you count yourself among the 25% of British households that have a dog, you’ll know just what an important consideration this is. So, considering it’s International Dog Appreciation Day on Sunday 26 August, we’ve listed five great cars that are perfect for pampered pooches. 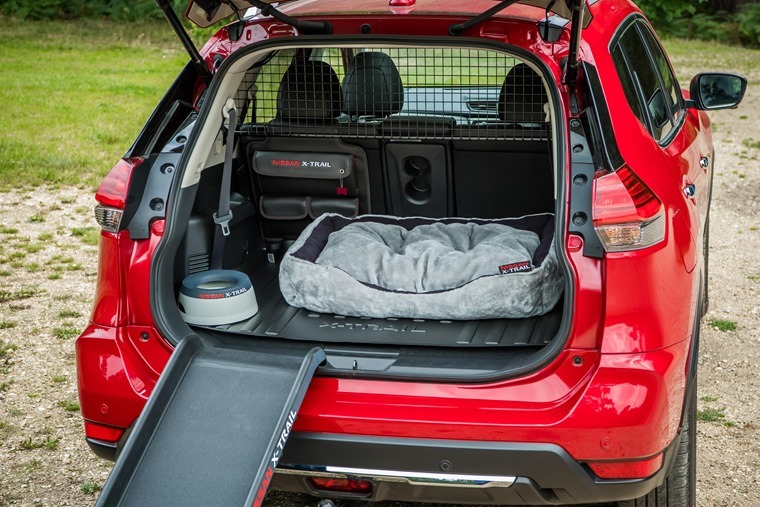 It’s all down to Nissan’s optional Paw Pack, which for £600 adds a ramp so smaller dogs don’t have to make a giant jump into the 565-litre boot (with rear-most seats down). It also includes a boot-liner, a spill-resistant dog bowl and even a dog bed… what more could your fury friend want? Nissan has also created a X-Trail 4Dogs concept, which include an ingenious two-way ‘dog cam’ so you can talk to the dog via an audio link to keep it calm, 360° pull-out shower, dog dryer and access ramp. But that’s just a concept at the moment. It might not be quite as sleek as the fastback-shaped Arteon, but the Passat’s sleek lines and German badge make it a classier choice than many rivals. In estate guise, it’s the perfect dog carrier too. 650 litres of boot space is more than most dogs should ever need and, given VW’s renowned reputation for build quality, the luggage area (and the rest of the interior for that matter) will stand up well in the face of those drooling tongues and muddy paws. 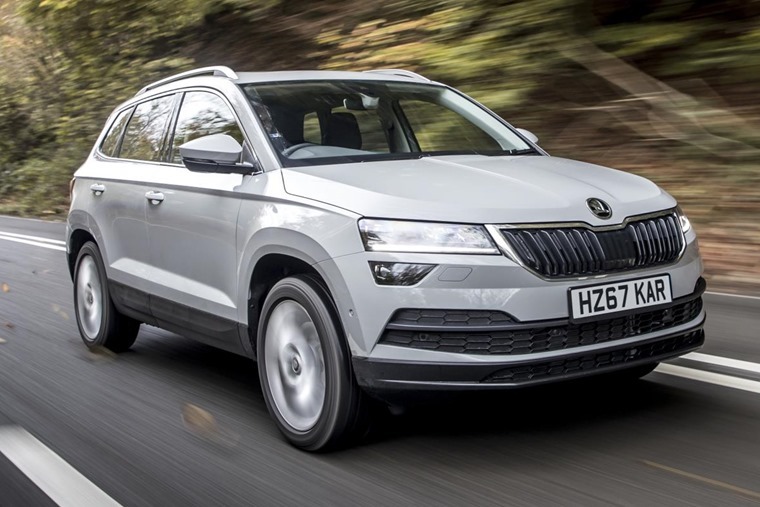 The ‘simply clever’ Skoda Karoq is the latest SUV from the Czech manufacturer and, while it’ll never offer you the most engaging drive, it’s one of the most practical. It’s got 520 litres of boot space, while SE-L models and above feature nifty flexible rear seats too. But the practicalities don’t stop with outright space: there’s some simple yet effective touches too, like a handy umbrella for those rainy walks, as well as a detachable boot light that doubles as a torch. 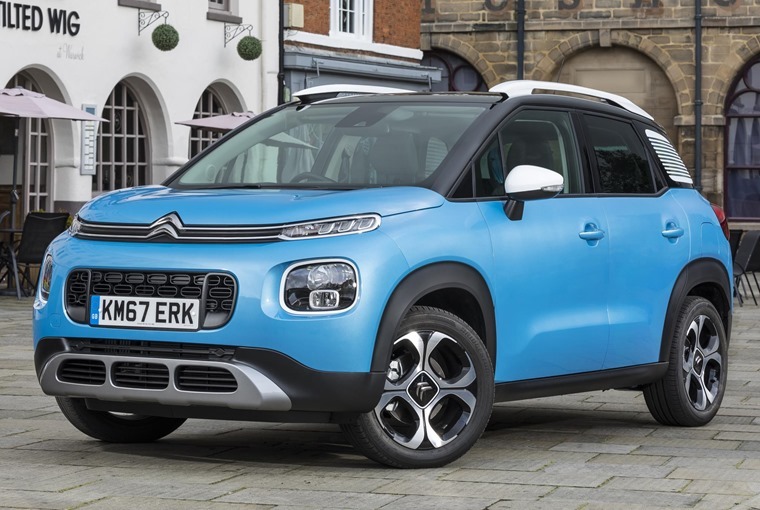 Providing your four-legged friend isn’t a Great Dane, the Citroen C3 Aircross is an excellent choice for those that want a dog-friendly vehicle in a bite-sized package. Thanks to its sliding rear seats, it has one of the biggest boot capacities in its class with 520 litres of space. 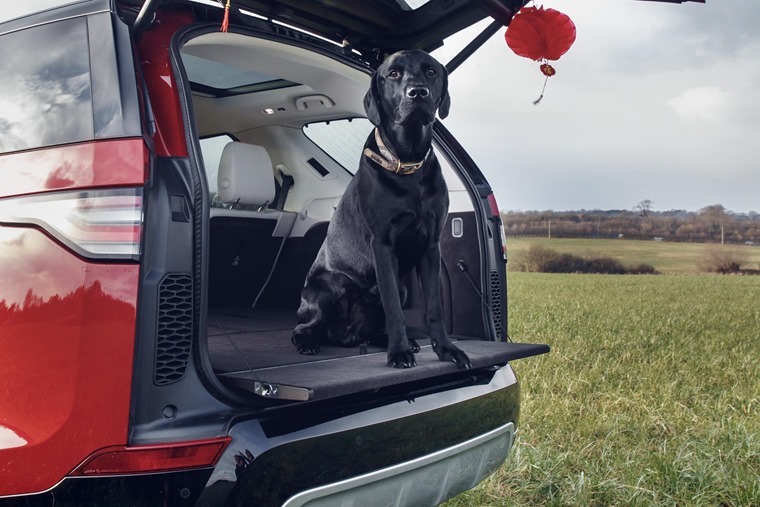 In traditional Citroen fashion, it’s supremely comfortable, while those ‘Air bumps’ ensure you’ll keep scrapes to a minimum when your dog dismounts. Being the latest fashion bauble on the crossover scene, the C3 Aircross ensures you and your pooch will be the coolest cats on the road too. 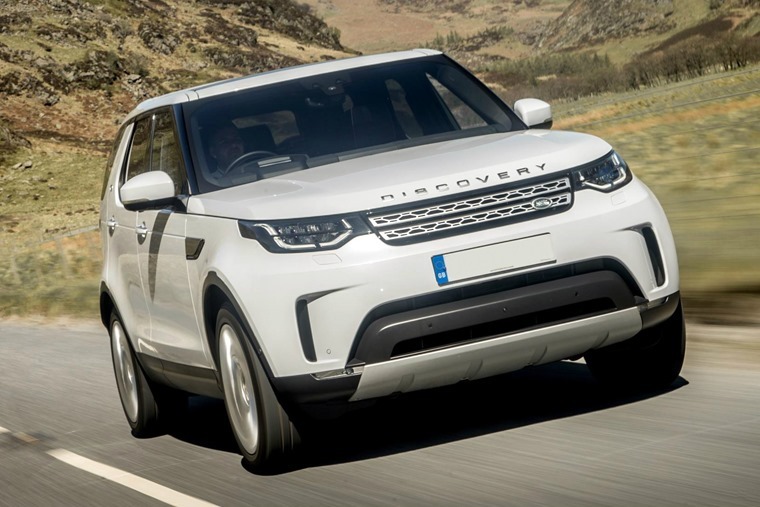 This list wouldn’t be complete without the inclusion of a Land Rover and, in one form or another, the Discovery has been hauling around animals for over 25 years now. But the newest variation takes things too a new level, and we think it might just be the most practical dog delivery vehicle that’s ever been made. A whopping 1,137 litres of boot space is on offer with five seats in place – enough space for two or three hairy hounds at the very least. Being one of the most capable off-roaders, it’s a great choice if you like to take your pooch on the odd extended walk too, because even if you don’t need it, you won’t be getting stuck on any muddy tracks. Land Rover has also made life even more comfortable for man’s best friend on car journeys with Pet Packs available across the model range priced from £360.37. The Pet Care and Access Pack (£887.56) even includes full-height luggage partition, quilted load space liner, pet access ramp and portable rinse system. What’s your favourite dog-friendly car? Let us know in the comments section below. 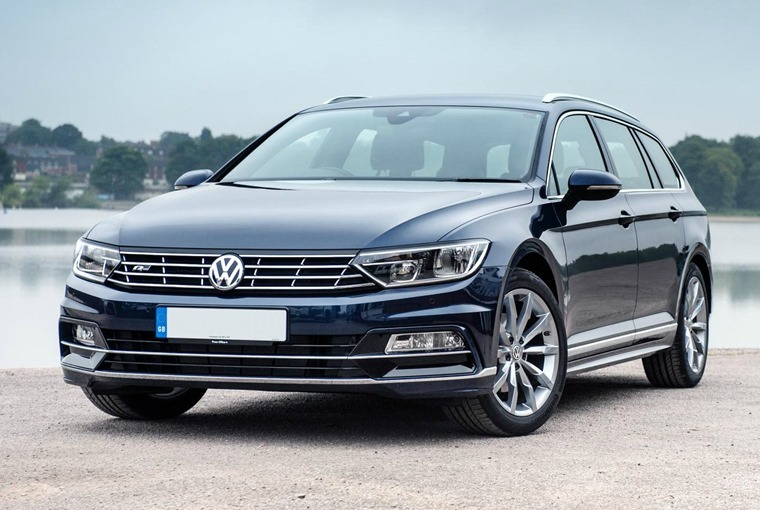 Whether you’re looking to lease one of these cars or something different, remember to have a look at the very latest business and personal deals available. And always remember, Rule 57 of the Highway Code states: “When in a vehicle make sure dogs or other animals are suitably restrained so they cannot distract you while you are driving or injure you, or themselves, if you stop quickly. A seat belt harness, pet carrier, dog cage or dog guard are ways of restraining animals in cars.”.